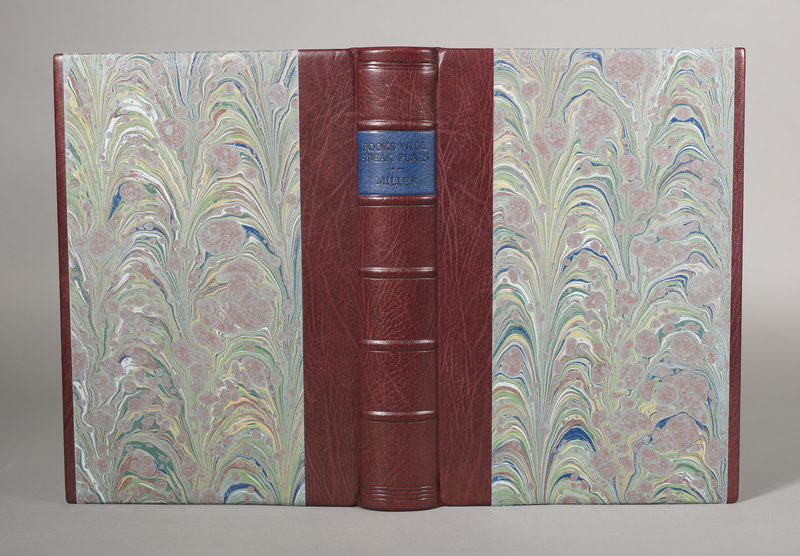 Half-leather case binding with marbled paper sides, false raised bands,sewn silk endbands, blind tooling, leather label. Anna Embree is an Associate Professor for the MFA in the Book Arts Program in the School of Library and Information Studies at The University of Alabama. She has a strong interest in the physical and material aspects of book structures, has collaborated with printers and papermakers on limited edition handmade books, and has exhibited widely.